Facebook/deadrabbitnycSee where The Dead Rabbit made it on our list. 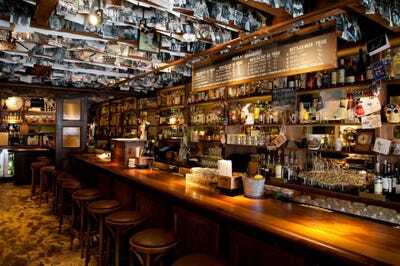 New York City has over 2,000 bars, so it can be difficult to figure out which are the best places to grab a drink. 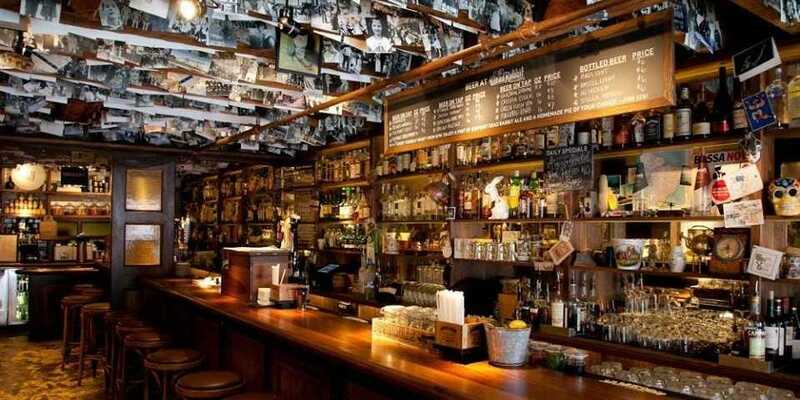 From trendy cocktail bars to local dives, we’ve found the 10 best bars in New York City. This list is derived from our list of The Best Bars In America. 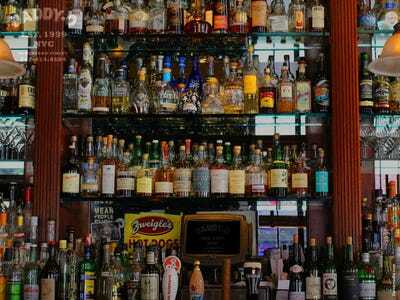 To compile this list, we looked at six notable bar rankings — James Beard Awards, Esquire, Food & Wine, Zagat, The World’s 50 Best Bars, and Liquor.com’s Best Bars in America — and aggregated the rankings to come up with our own list of the Best Bars in America. We used Yelp ratings as a tie-breaker. You can read more about our methodology here. Saxon + Parole opened last summer in the Bowery in what was formerly Double Crown. 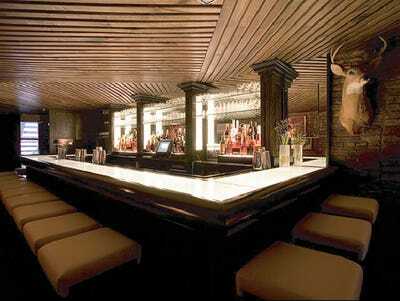 Named after two 19th-century race horses, the bar has a vintage yet chic feel. The bar offers inventive concoctions like Greek yogurt cocktails. 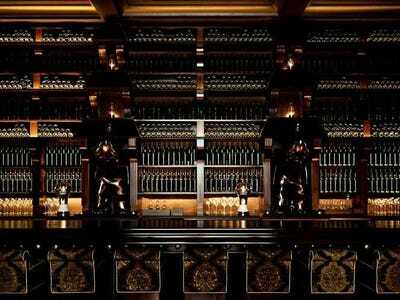 Make a reservation in the cellar downstairs for wine and whiskey tastings. Mayahuel wants its customers to truly experience Mexico through its drinks. 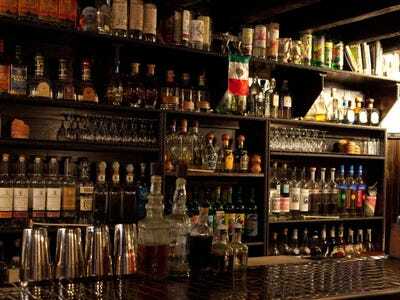 The East Village bar serves over 40 mezcals and tequilas and mixes over 50 different cocktails for patrons. The Clover Club captures the old-time pre-Prohibition feel while offering a wide variety of delicious reasonably-priced cocktails. The cocktail menu at this Cobble Hill, Brooklyn, bar is divided into eight sections including fizzes, punches, sours, and signature drinks. The tavern-esque NoMad Bar in New York City's hip NoMad Hotel serves classic and modern cocktails, as well as an extensive selection of wines and beers. 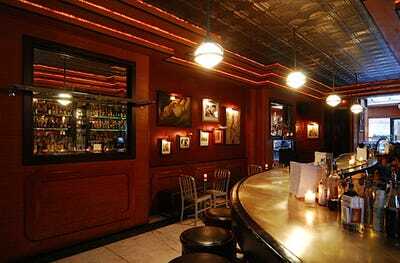 This West Village bar is a favourite with locals -- including some local celebrities -- who come here to enjoy delicious food and drinks in a low-key setting. Make sure to try out the Herbaceous Mojito, the boozy Daddy-O Root Beer Float, or one of the whiskeys from its 100+ bottle selection. And don't leave without tasting their famously crispy tater tots. Death & Co. owners Dave Kaplan and Ravi DeRossi take their trade very seriously and even offer a mixology reading list to their customers. 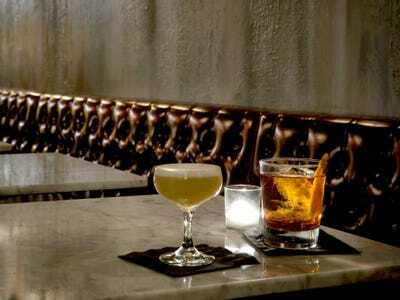 The East Village speakeasy offers original and classic concoctions as well as a selection of rare aged brown liquors. 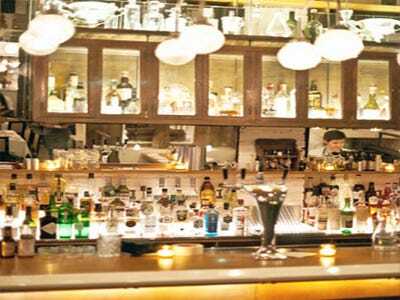 The word is out about this well-hidden bar so get there early on the weekends to get a taste of its amazing cocktails. PDT, short for Please Don't Tell, is a sleek speakeasy that's hidden behind a faux phone booth inside Crif Dogs, a hot dog joint known for its deep fried franks. While the two establishments seem like an unlikely pair, customers keep coming back for PDT's inventive cocktail creations accompanied by one of Crif's signature hot dogs. Another speakeasy to make our list, Employees Only is disguised by a storefront advertising fortune telling. 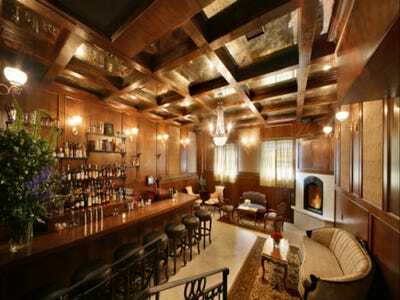 Once inside, the bar embodies the true spirit of the Prohibition era from its decor to its drinks. Choose any of their long drinks, fancy cocktails, or aperitifs and enjoy them in the bar or on the garden deck out back. 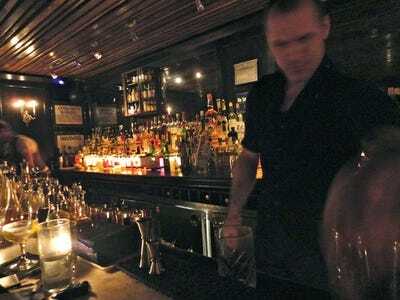 The Dead Rabbit, located in the financial district, is the it bar for after work drinks. The informal Taproom on the ground floor is perfect for enjoying beer, whiskey or the bar's bottled punch. Now find the best bar closest to you.